The meeting of top US and Chinese diplomats and defense chiefs was held a day after President Donald Trump said China's efforts to use its leverage with Pyongyang had failed, raising fresh doubts about his administration's strategy for countering the threat from North Korea. United States pressed China to exert more economic and diplomatic pressure on North Korea. Washington: The United States pressed China to exert more economic and diplomatic pressure on North Korea to help rein in its nuclear and missile programs during a round of high-level talks in Washington on Wednesday.The meeting of top US and Chinese diplomats and defense chiefs was held a day after President Donald Trump said China's efforts to use its leverage with Pyongyang had failed, raising fresh doubts about his administration's strategy for countering the threat from North Korea. The death of American university student Otto Warmbier this week, after his release from 17 months of imprisonment in Pyongyang, has further complicated Trump's approach to North Korea, his top national security challenge. "We reiterated to China that they have a diplomatic responsibility to exert much greater economic and diplomatic pressure on the regime if they want to prevent further escalation in the region," US Secretary of State Rex Tillerson told reporters at a joint news conference with Defense Secretary Jim Mattis. But with the long-standing option of pre-emptive military strikes seen as far too risky for now, Trump's aides are stressing economic and diplomatic pressure. Tillerson said Trump would make a state visit to China this year, and Mattis said both sides agreed to expand military-to-military ties, signaling the new administration's determination to continue efforts to improve relations between the world's two largest economies, despite frustration over North Korea. North Korea topped the agenda at the newly established Diplomatic and Security Dialogue, which paired Tillerson and Mattis with Chinese State Councilor Yang Jiechi and General Fang Fenghui, chief of joint staff of the People's Liberation Army. While the US officials stressed agreement on the goal of North Korean denuclearization, the talks also dealt with China's sweeping territorial claims in the South China Sea, with the Americans reaffirming opposition to Beijing's militarization of islands it is building in the strategic waterway. Tillerson urged China to help crack down on illicit North Korean activities that fund its nuclear and missile programs, and said the Chinese had agreed their companies "should not do business" with sanctioned North Korean entities. Tillerson stressed the need to choke off funding sources including money laundering, labor export and computer hacking. "Countries around the world and in the UN Security Council are joining in this effort, and we hope China will do their part as well," he said. China, North Korea's main trading partner, has been accused of not fully enforcing existing UN sanctions on its neighbor, and has resisted some tougher measures. Washington has considered further "secondary sanctions" against Chinese banks and other firms doing business with North Korea. A Chinese foreign ministry spokesman said China did not exert "so-called economic or diplomatic pressure" in its interactions with other countries. "What we do is to develop friendly and cooperative relations on the basis of five principles of peaceful coexistence," the spokesman, Geng Shuang, told a regular briefing on Thursday. 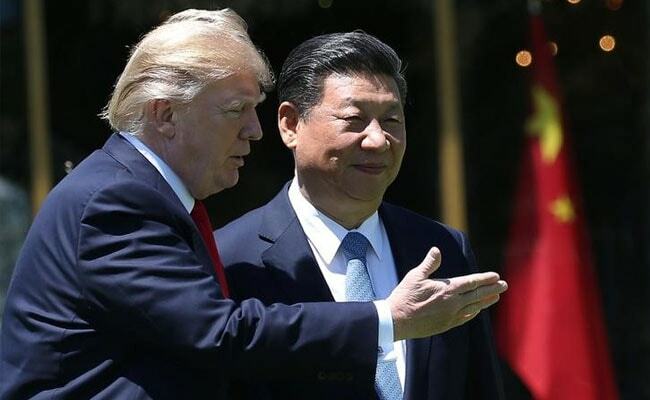 Trump has had high hopes for cooperation from China to exert influence over North Korea, leaning heavily on Chinese President Xi Jinping for his assistance. The two leaders met in Florida in April and Trump has praised Xi for working on the issue, despite only modest steps so far by Beijing. At the same time, Trump has mostly held back on attacking Chinese trade practices, which he railed against during the presidential campaign. "While I greatly appreciate the efforts of President Xi & China to help with North Korea, it has not worked out. At least I know China tried!" Trump wrote on Twitter on Tuesday, a day after Warmbier died following his return from captivity in a coma. The tweet puzzled even Trump's own aides. Asked whether Trump had lost faith in China's ability to restrain North Korea, Mattis said the president's view represented Americans' "frustration" with Pyongyang's provocations and after seeing "a young man go over there healthy, and with a minor act of mischief, come home dead, basically." Later on Wednesday, Trump said in a speech in Cedar Rapids, Iowa, that the United States has a "great relationship with China and I really like President Xi." The talks followed what a US official said on Tuesday were new movements detected by US spy satellites at North Korea's nuclear test site. But it was unclear if Pyongyang was preparing for a sixth nuclear test.